This Sunbaby Stroller is a Recommended for babies of zero to three years age group. 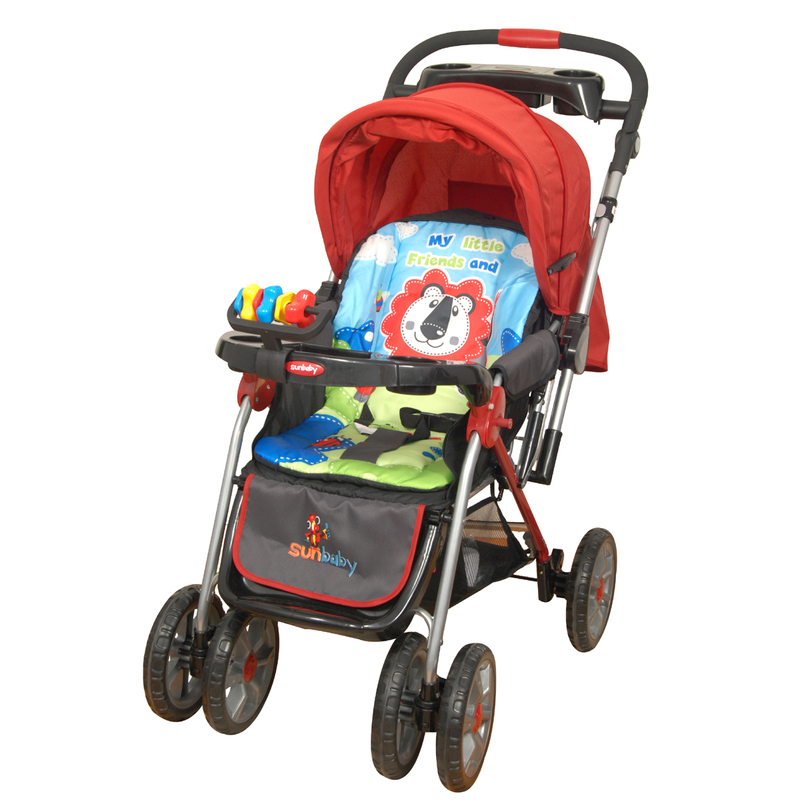 The soft, reversible handle and rear wheels with brakes facilitate in easy movement. This stroller comes with a big storage basket at the bottom where you can store all the essential items. Your baby can have snacks from the front snack tray whenever he feels hungry and the rattles will surely keep him engrossed. Enjoy a stroll in the park with the apple of your eye without worrying about his comfort and safety. To Recieve updates and possible rewards for Sunbaby SB-202X please sign in. To Recieve updates and possible rewards for Strollers & Prams please sign in.